It happened three years in a row. Everytime A Maui Blog gets the “Best of Local Blog” award, this blog comes to a bit of halt. Not because I didn’t have something to write about (on the contrary, I have a lot of things to write about) but because this time of the year is a very busy time for a blogging mama like me. My kids’ summer vacation is almost over and I am trying to redeem whatever vacation days they have, trying to spend more quality time with them before they go back to school…. 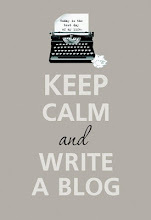 Then I saw this poster “Keep Calm and Write A Blog” and it made me smile. It reminded me not to get overwhelmed by this whole “I’ve got to blog but I’m so busy right now” kind of thoughts. KEEP CALM and BLOG ALONG … blog little by little and it will be alright. And so that’s what I am doing today. Speaking of the “Best Blog on Maui” award, I want to thank you all again for voting for this blog. I know I said it a million times already, but it is true – I am very appreciative of you and your support. One thing that I had noticed is that the runner-up for the Best Blog on Maui award went to Kamaaina Loans Blog. I found it intriguing so I went to their blog and checked it out. Obviously, it was a blog for their business. It is fairly new and fairly updated. Since Maui Time’s Best of Maui awards are dependent on the votes of the readers, I am assuming that many voted to Kamaaina Loans blog – perhaps their customers who are satisfied, perhaps their employees and employees family and friends who wanted to support their company’s blog. That’s all good and valid. All is fair in voting. But it got me thinking …. It got me thinking that perhaps many people on Maui are not aware of the many wonderful local blogs we have here. Not a blog to help a business per se, but blogs of all kinds of interests written by passionate and talented local bloggers. And so, even though I am not fully ready to introduce the network yet (because I was hoping to created an awesome logo before I launch) I decided it’s time to Introduce the MAUI BLOGGERS NETWORK. 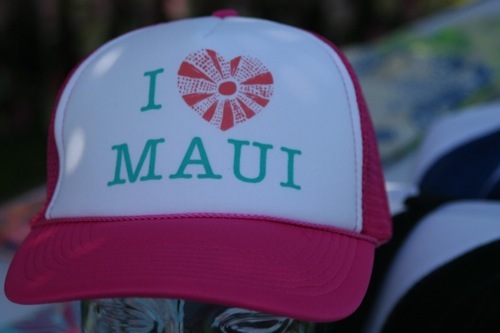 The Maui Bloggers Network will be an integral part of A Maui Blog. This is a win win situation because it will promote the bloggers in the Maui Bloggers Network while you, my dear readers, get more updated news about Maui and topics of various interests written by these talented and passionate bloggers. Maui Bloggers Network is a closed group in Facebook open to all Maui Bloggers. That means “bloggers who live on Maui, fulltime and part-time, blogs about any topic they are passionate about” or “bloggers who blogs about Maui even though they live outside of Maui (at least 80% of their blog topic is about Maui)”. Who are the bloggers in this Maui Bloggers Network? Here they are, complete with links to their blogs: Tadah! There are many more! There are 72 members right now in the group although not all are active. The members listed above are the ones who recently responded to my call for a “spot check” by listing their URL’s in a post. I will be adding some more in this list as they add their URL in the FB doc. P.S. – Are you a Maui Blogger who wants to join the group? Leave a comment with your URL in it. Also, please find us on Facebook (search for Maui Bloggers Network) and request to join. Any other feedback abut the group, please feel free to write your comments below. Aloha again! Great idea! Thanks for weeding out the commercial interest! Great post. Nice to know who’s blogging what. We would love to be included! Aloha Liza and thank you for sharing all of our links! I did not realize you have bigger goals than the FB group and am eager to learn more. I fixed one of my links in the FB Doc. I mistyped and it should be http://www.divineopeningswithrox.com. My Maui blog is all about my personal journey/experiences in Maui w/appropriate links where I think a shoutout is warranted. Periodic flashbacks will be published based on my scribbles. I would love some followers outside my immediate circle. I am planning my return to Maui this year for 3-4 months. The blog will pick up on those new experiences by winter/spring. I love Maui and plan to return there as often as life permits & eventually buy land for a life/farm/nursery. Mahalo for considering me! Congratulations. You are an inspiration to so many and not just because of your award winning blog. It’s because of YOU and who you ARE. And there you go again, always shining the light on others, Maui Bloggers Network. You were one of my first social media friends and I appreciate you and our friendship. Liza, mahalo for doing this. I think it’s pretty awesome that you are taking your time – i.e., volunteering, to facilitate this blogger’s group. It is the busiest online group I have ever been involved with on Facebook, and a great resource for new and experienced bloggers alike. I’ve learned tremendously from it, and I think many others would agree. Congrats again, Liza! Well deserved for all your hard work. Love the write up before the intro of the blog list. One of my mobile App projects in the queue is an attempt to help bring the great insight and writings from many (if not all) of the local blogs like the ones above to more people. No evidence to back it up, but the trends that I’m seeing is that the traditional blog-rss-subscriber model is vastly being replaced by Facebook pages and news feeds (although Twitter is still there, to some degree). My hopes is to have a way to bring all these great posts and articles to Maui fans without all the noise and distractions that exist today. Anyway, more details on that when development on the App starts (hopefully sometime this year). I’ll be sure to share it with the Maui Bloggers Network first, of course. I am working on a new Maui sight that I would love to include in this list once it is ready for the public to see. In the mean time maybe you would include Fluent In Frolicking as I do blog about Maui while I am here. PS. I know I owe you a guest post between starting the new site, and getting a real job here on the island I haven’t even been posting on my own site.. Agg the joys of blogging! Great post. Our community is a strong one, and our regular promotion of the best of our island will benefit everyone. A big mahalo for leading the charge! Having moved to Maui 5 months ago I was struck by the spirit of Aloha and decided to start a blog on all things Hawaii with a focus on Maui. You are the most amazing and generous person, organizing this blogging group and promoting all these other terrific Maui blogs. I clicked a request to join your bloggers group on your Facebook page even though mine is technically a website rather than a blog. Congrats once again Liza on a well deserved win and mahalo for allowing us to share some of your spotlight by mentioning us here. I really enjoy our group, I feel I learn something new each week and have met really great people as a result. I know you are a busy lady and appreciate you took the time to create and moderate. Aloha! Since our honeymoon over 20 years ago, we’ve absolutely fallen in love with Maui. We’ve been back to Maui many times, and also been to the Big Island, Kauai, and Molokai, but we always seem to come back to Maui. If you are planning a trip to Maui, One Week on Maui is the place to be! Budget-saving tips, where to eat, where to stay, where to snorkel, and how to get into the “Aloha spirit”. We hope this website helps you in planning a perfect vacation to Maui while keeping your budget under control. Note that all of our recommendations are from personal experience, and we don’t get any monetary benefit from the companies we mention. Congratulations, Liza! You deserve the award — your posts are so warm and heartfelt and helpful. I love the idea of the FB group and the network. I hope you’ll consider http://mauirestaurantsblog.com for inclusion. Mahalo for the post. My name is Anne Wall and I have a new blog on Maui. I am just getting started and my goal is simply to share my love of the Island. I have lived and worked in Maui for 33 years. I would be grateful to be part of your group. Let me know if there is more you want to know about me or my new blog.